Pregnancy is a period of anatomical and emotional changes. Most pregnant women want to keep their feet up and relax for nine months. However, during pregnancy along with your mental strength, it is important for you to stay physically healthy too. 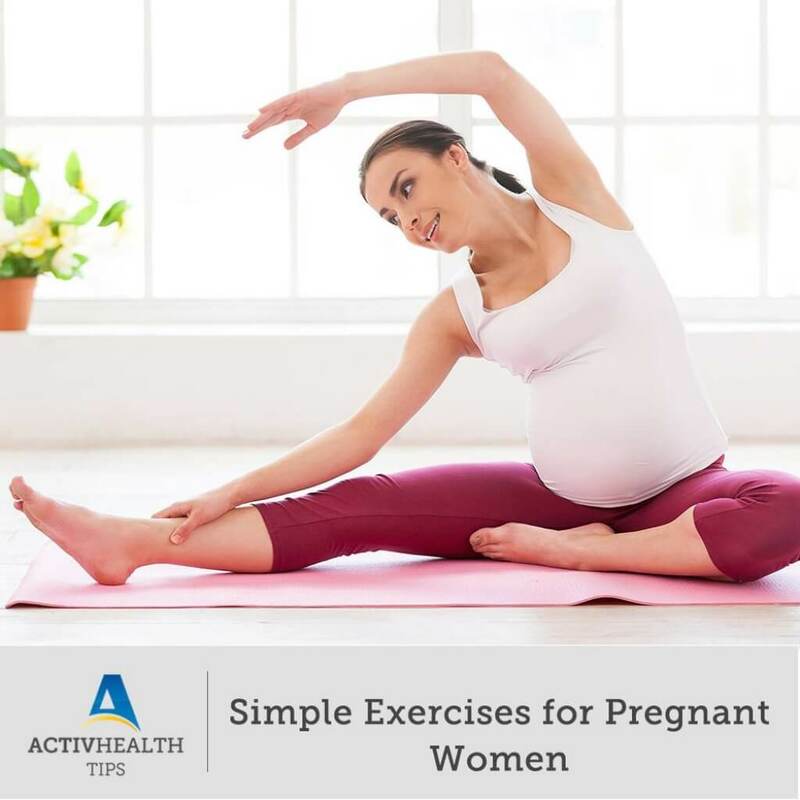 Thus, simple exercises during pregnancy are highly recommended. It helps you to strengthen your body and prepare you for labour. Exercise helps you to maintain a healthy weight, improve heart health and help you stay fit throughout your pregnancy. Also, exercises during pregnancy have proven to lighten up the mood and improve sleep. Here is a list of few exercises that are considered to be safe during pregnancy. However, you are always advised to consult your doctor before you start working out. • Swimming – It is considered as the most productive exercise for the maintenance of health and wellness in pregnant women. Swimming helps women feel light despite their weight gain and allows moderate intensity cardiovascular workout without putting pressure or stress on the joints. Swimming is also found to provide a sense of overall well-being to expecting mothers. However, do not walk in extremely hot weather, as overheating isn’t good for the health of you and your baby. • Prenatal yoga – In order to keep your joints limber and maintain flexibility, prenatal yoga can be beneficial. If paired with other cardiovascular exercises like walking, yoga is helpful in maintaining a healthy shape throughout pregnancy. Apart from the points mentioned above, studies show that yoga also helps decrease lower back pain, nausea, etc.